The car number identification system is to recognize the car number as text based on the image information received from the camera separately, and the car number identification system camera was first used in Korea in the late 1990s. At that time, it was expensive equipment, and it was mainly used for road security for interception of wandering vehicles. In 2002, Incheon International Airport was opened and a parking lot with car number identification system was established. Incheon International Airport used German system, the durability was good, but the introduction cost was high. Thanks to the activation of the intelligent parking control market, the car number identification system has attracted new attention. With the improvement of identification technology, there’s been price drop, and which makes the widespread popularity of the car number identification system cameras possible. It has become possible to solve serious urban parking problems through a combination of parking lot, car number identification system technology and ICT. In early March this year, at the World Security Expo (SECON) 2019 held in KINTEX, Ilsan, Gyeonggi-do, a lot of car number identification system cameras were exhibited. They are Hanwha-Tech-Win, which is 1st video security company in Korea, as well as Hik-Vision, which is 1st in global market share, and QDIS, which has just threw its hat into the ring on the video security market. Hanwha-Tech-Win and its partners have launched a car number identification system-based parking control solution that can monitor 5-megapixel high-resolution images even in low-light areas. Hik-Vision presented a deep-learning-algorithm based car number identification camera and parking guidance system. QDIS is an automotive video interface company that has recently threw its hat into the ring on the video security market and has set its sights on the intelligent parking control market. QDIS ambitious work is 12-megapixel 360-degree PANORAMA IP camera that has been in production since the second half of last year. It is a proprietary product using the patented panorama reflex lens of QDIS. In addition, QDIS has completed the development of an 8-sides car number identification solution and a parking guidance solution capable of detecting up to 12~16 parking surface. 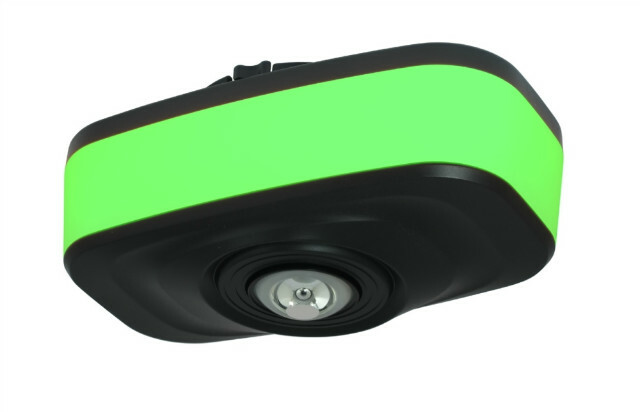 The parking guidance solution is equipped with an image analysis function that notifies the user of the possibility of parking with a green alarm lamp and performs security functions. According to the industry, the car identification technology can be divided into one-sided LPR and multi-sided LPR. One-sided LPR technology is installed at the entrance of the vehicle, recognizing the car number, and is close to completion. Multi-sided LPR is a level of 2 ~ 4 levels when we divide the skill level into 5 levels. There is also a need to reduce the number of cars recognized because errors may occur depending on external environmental factors. The illumination of the parking lot, the narrow passage of the indoor parking lot, the blind spot, and particulate matterwill affect the car number identification. It is also important to secure high-quality images for image analysis. As mentioned at the beginning, the future of intelligent parking control is autonomous vehicles. Experts say that it is not necessary to own a car when it comes to autonomous era. This is because you only need to call autonomous cars when you need them. You do not need to have a parking space in your residence, you do not even have to check the parking space while setting a promised place. In this case, users get out of trouble, but parking is a war for autonomous vehicles. At this point, the parking lot can be said to be the beginning and the future of the autonomous era. Therefore, smart parking and connected parking service, which combines parking, video security and ICT, attracts attention. In order to have intelligent parking control service, the affiliated parking lot should be increased first. Nowadays, intelligent parking control service providers are concentrating on expanding partnership. Improvement of parking facilities is also necessary. Basically, it should have a car identification system for checking the entrance and exit, a sensor for checking the free parking area, and an unmanned checkout machine. With the advent of the fourth industrial revolution era and the expansion of the construction of smart cities, image security that can act as a person's eyes has become a field that can be converged in any industries and fields. In order to realize smart mobility services including parking lot sharing and car sharing across the metropolitan area, it is necessary to combine 4th industrial revolution technology such as video security, artificial intelligence (AI), object internet (IoT) and big data. This is a key component of Smart City. In the future, intelligent parking control systems are expected to become smarter. In the field of parking control, people will also pay more attention to providing safe and convenient services by combining with various physical and cyber security technologies. To do so, cooperation between the existing parking sector and the security sector needs to be closer.